Pierre Constant studied at the Pierre and Marie Curie-Paris VI University, where he received a degree in Biology-Geology in 1975, followed by a Master's in Geology in 1979. In 1980, he went to Ecuador to work as a naturalist guide on cruise boats around the Galapagos. Returning to France after two years living on the islands, he published his first book: L'Archipel des Galapagos, and became recognized as the French expert on the archipelago. Pierre took up submarine photography in 1984 and produced "Marine Life of the Galapagos - a divers' guide to the fishes, whales, dolphins and marine invertebrates" (3rd ed.2007). His involvement with the ocean became professional when he obtained his PADI Open Water dive instructor certification in 1997. A regular visitor to the Galapagos for the past 34 years, he has been leading trips to the islands annually. 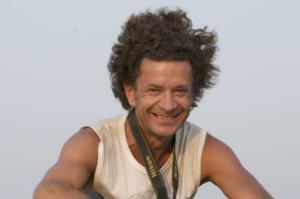 His comprehensive knowledge and expertise on the islands has been made use of in various travel and active sports television productions, including French television (TF1: Ushuaia 1990) and the Discovery Channel (XL Productions, 1991). As an award winning photo-journalist, underwater photographer and cave diver, Pierre has published close to 150 articles worldwide in a range of travel, science, nature and diving magazines. He was a guest lecturer on many occasions in France, Switzerland, on the cruise ship 'Mermoz' (1990) and at the Royal Geographic Society in Hong Kong (2003, 2007). Pierre is a permanent resident of the Galapagos since 2002, running " Scubadragon Dive Centre " and " Tres Palmas Eco Lodge" in Puerto Villamil on Isabela Island. He nevertheless keeps organizing nature oriented trips to various parts of the world such as Namibia, Madagascar, South East Asia, Australia and the Pacific.